Built up roofing systems consist of layers of asphalt used to strengthen low-slope roofing. Each ply that is laid down is reinforced by more asphalt for extra protection and great performance in extreme weather conditions. When roofers refer to single/double/triple ply, it refers to the layers in the roofing material and the relative strength. This layered structure also drastically reduces heating and cooling bills, as the conductivity of the built up system in terms of heat is very low. The bitumen for this type of construction is generally asphalt, coal tar or cold-applied adhesive. Asphalt and coal tar require heating, while cold-applied adhesive removes the risk of toxic fumes. The surfacing of built up roofing systems are generally aggregate such as river rock, heated asphalt mopped over the surface or glass-fiber. 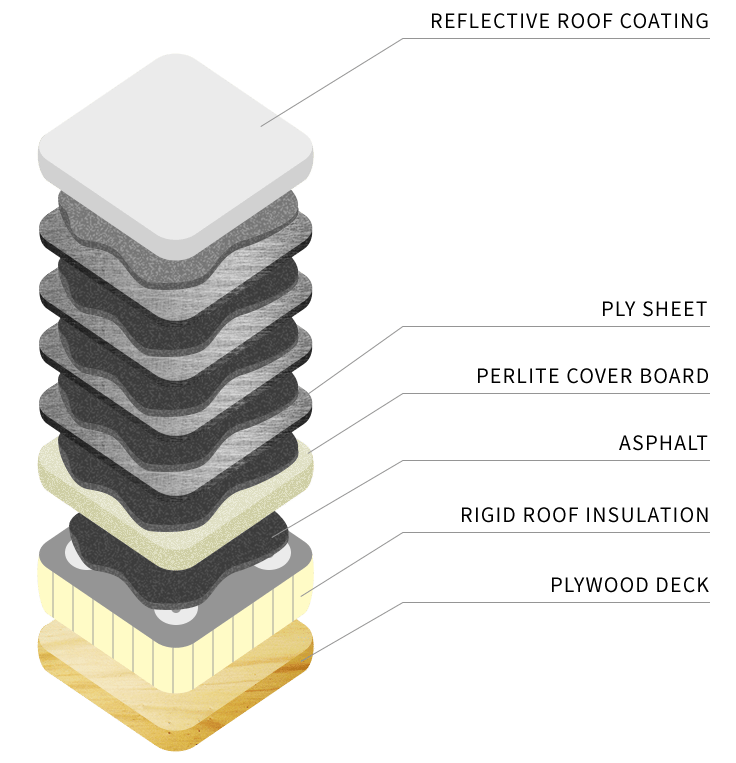 The multiple layers in a built up roofing system creates very good long-term performance because the strength and watertight seals are very resistant. These characteristics make them good options for pharmaceutical operations. For more information on Built-Up Roofing, contact C.L. Burks today.